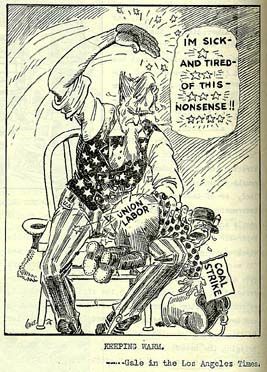 The coal strike of 1919 is widely accepted by academic scholars and historians alike to be a pivotal point in American history pertaining to the aspect of workers solidarity, treatment and social change within the nation. This strike was so influential towards American economics that it was necessary for the United States government to intervene through arbitration which was not done by the government towards any other strike occurring at this time. The coal strike initiated by workers of the coal mining industry, was a series of strikes where miners and operators pleaded their case through protest and walk-outs for increased pay and shortened working hours. The reasoning for intervention by the United States government by process of arbitration was that the strike essentially went against the Fuel and Food Act, which prohibited the stoppage of labor for the overall health and prosperity of the nation and its citizens. In a response from President Wilson to the Allied Steel Workers Committee relayed by United States Attorney General, Alexander Mitchell Palmer, he states, “I have frequently pointed out that the action of the department in the coal case is based on the Fuel and Food Act, and the Fuel and Food act does not apply to steel. The coal strike, therefore, involves questions entirely different from those involved in the steel strike.” Without fuel, citizens would not be able to use trains in which are crucial for the delivering of food quickly across the nation without the supply spoiling, without fuel people would have no way of obtaining food leading to mass hunger and starvation. The United States government at this time in 1919, was particularly interested in the overall sanctity of the nation. The government claimed that the striking of workers in the coal mining industry would bring the United States economy and sovereignty to a standstill and had to intervene for the better interests of the American people. From the letter to steel workers relayed by Alexander Mitchell Palmer from President Wilson, he stated in the presidents defense that, “The law does not prohibit the strike of the steel workers while it does expressively prohibit any concert of action to reduce the output of coal. The government has acted in the coal strike to enforce the law. The department of Justice intends to enforce the law. There can be no compromise with those who violate. The laws and institutions of our country are more important than the interests of any portion of our people, and it is my purpose, without deviation, to enforce the law in the coal strike as in any other respect.” The passion of the United States government to do anything it can to stop the coal strike signified the power that was actually in the hands of the workers. This played an important role in American history for workers rights and treatment that would set the example for later movements in the countries future. There was no other choice but to negotiate with workers by the government, this was because the workers essentially had the strength of a combination of over 425,000 strikers nation wide pleading for social change and workers reform. Because of the events of World War I, the coal industry was one of the most profitable markets in America at the time because of all the coal that was needed to fuel the war effort. Coal in its natural form or through processing was essential in the war effort because it was necessary to fuel the many machines of the United States army and navy. 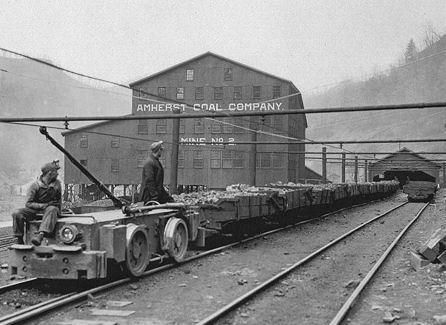 Ships and trains were the biggest consumers of coal during the war effort at this time. However the consequences of war were also felt by the American people. “The Washington Agreement took effect in 1917, the year the United States entered World War I, and was intended to help deal with pressures imposed by the war on the domestic economy. Labor contracts negotiated under the agreement all carried penalty clauses with fines and firings for workers who participated in work stoppages.” This quote from the St. James Encyclopedia of Labor History Worldwide: Major Events in Labor History and Their Impact, states the importance of workers continuation of labor in their specific industries and the fines and penalties that these people were subject to paying if the work stopped. In a specific incidence of miners who were affected by the Washington Agreement of 1917, miners in the sub-district of Belleville Illinois conducted protests for the freeing of Tom Mooney, an American political activist and labor leader held responsible for the bombing of the Preparedness Parade in California in which he was later freed from the charges. Workers in the area stopped work and protested the imprisonment of Mooney and later reached an agreement to go back to work. On collecting the next weeks pay, workers discovered they were taxed a dollar a day for every day they had missed work out of their salaries. This taxation enraged individuals and when the UMW (Union of Mine Workers) convention convened in August of 1919, they demanded for the sixty percent increase of pay and thirty hour work week for workers with the threat of the whole of the union to strike on the first of November. When this demand was not met by owners of the mining industry, approximately 425,000 workers went on strike nation wide. Economically this was especially hard on individuals who needed to pay taxes on housing and the necessity of feeding their families but the hope for better working conditions and increased pay specifically attracted to the eye of the common mining worker. 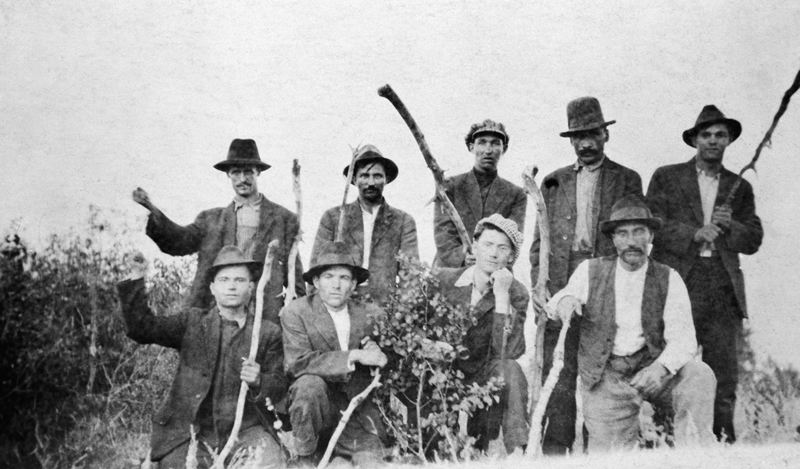 In another particular incident in Coral, a town seven miles south of Indiana, miners were hit hard by economic issues of housing eviction and family care when 350 workers struck out on April 1st 1919 against their owners on the basis of better pay, shorter working hours and better working condition in general. In the journal article, The Coral Episode of the Coal Strike of 1919, written by Irwin Marcus, Eileen Cooper and Beth O’Leary, states the account of Peter Ferrara, a District 2 leader from Indiana who became particularly interested in the events in Coral, he issued an account stating the importance of the discussion of workers eviction and brought it to the public eye, “He described the evictions as a scare tactic to force the miners to work under oppressive conditions, and he praised the miners for their role in winning the war against the Kaiser. He then asked his readers a pertinent question: Was it fair, in a democratic country, for a corporation to force a worker to choose between occupying a company house and suffering from starvation.” There was a choice for these workers to make to either stay working for their oppressive owners and bosses under harsh conditions and poor pay or to continue the strike knowing the outcome that they could be evicted from their employer on the basis of them striking for the betterment of working conditions within the coal mining industry. This striking of these 425,000 mine workers put a virtual halt to the economy of the United States and caused many other industries within the nation to come to crippling halts as well. In a quote from a Washington Post article written on October 1st 1919, states the jeopardy of the nations fuel reserves after the walk-out of the estimated 425,000 coal miners, “Announcement by President Lewis that the strike would begin at the time called caused a hurried rush to find out how much bituminous coal there is on hand and how long it might last, once the mines shut down. The first reports were discouraging, although dealers and brokers estimates have indicated that the supply, with proper care might last a month.” These numbers were horrifying to the United States government and individuals in power across different industries who relied on coal production and output. In a quote from libcom.org from Jeremy Brecher’s book Strike!, states the power the workers had over the United States government at the time of the coal strike, “They (Coal Miners) realized their power as they saw the U.S. government rationing coal, schools closing down for lack of heat, factories shutting down, and railroad operations drastically cut back.” The effect the coal strike had on other industries was important for the workers in their goal of achieving the conditions that they wanted in the work place. Without the distribution of coal across the country, the United States began to spin into discourse. The United States government feared that if the coal was to run out, the United States would be in a time of crisis that could potentially cripple the economy of the nation. Judicial interference was necessary on the part of the government to make sure these laws were not broken and the peace and prosperity of the nation out of the industrial age would remain intact and not be reduced to shambles. The striking of these miners led to industries like steel, transit, and textiles, could have theoretically led to the exacerbated and lengthened great depression. Even miners in Canada saw the influence the coal strike had in the United States and began to conduct strikes of their own to protest for increases in salary, shorter work weeks, and better working conditions. Due to the need of coal, not only as a fuel but as a commodity, as a fuel for economic progression that was key to a post war early industrialized America; lessening the use or availability of coal would have crippled a budding industrial sector. From the textile plants, to train production, to the spread of urban sprawl; coal had a hand in either the use or helped fund each and every expansion. This being said, the refusal to work by workers in the coal mining industry exemplified the power of the individual in American society and the sociological change in the way in which citizens are to be treated in the workplace with fair rates of pay for the work being conducted. (Associated Press. 1919. “COAL PEACE FAILURE.” The Washington Post (1877-1922), Oct 25, 1919. http://library.ramapo.edu:2048/login?url=https://search.proquest.com/docview/145698961?accountid=13420. Brecher, Jeremy. Strike!Oakland: PM Press, 2014. “COAL STRIKE DIFFERS FROM STEEL STRIKE.” 1919.Wall Street Journal (1889-1922), Nov 06, 1919. http://library.ramapo.edu:2048/login?url=https://search.proquest.com/docview/129758593?accountid=13420. Marcus, Irwin, Eileen Cooper, and Beth O’Leary. “The Coral Episode of the Coal Strike of 1919.” The Pennsylvania Magazine of History and Biography 114, no. 4 (1990): 543-61. http://www.jstor.org/stable/20092538.